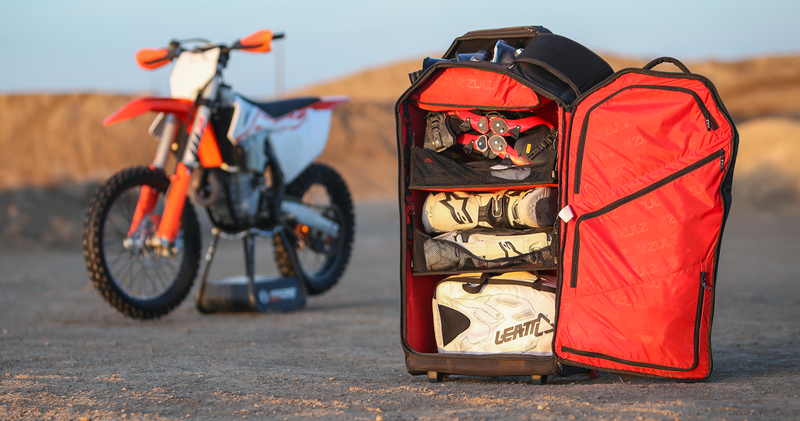 Pivot: The ultimate in durability, functionality, and style. 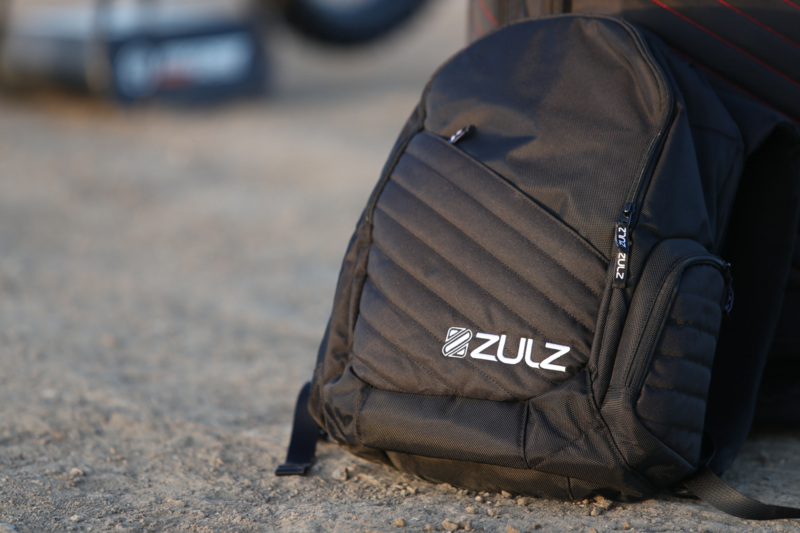 Zulz wanted a business-style travel backpack, designed to appeal to a young professional. Like the rest of the Zulz range, this bag had to deliver ultimate functionality as well as a stylish, modern aesthetic. And in a crowded market, it needed to demonstrate distinction through a wealth of innovative features, offering higher levels of device protection while also being comfortable to wear. The answer was the Pivot. A good laptop can cost hundreds – or even thousands – of dollars. For many young business people, it’s among their most expensive possessions. And yet most backpacks leave it vulnerable to damage. The Pivot is different. Our design team developed a unique system: a suspended drop-in laptop sleeve. 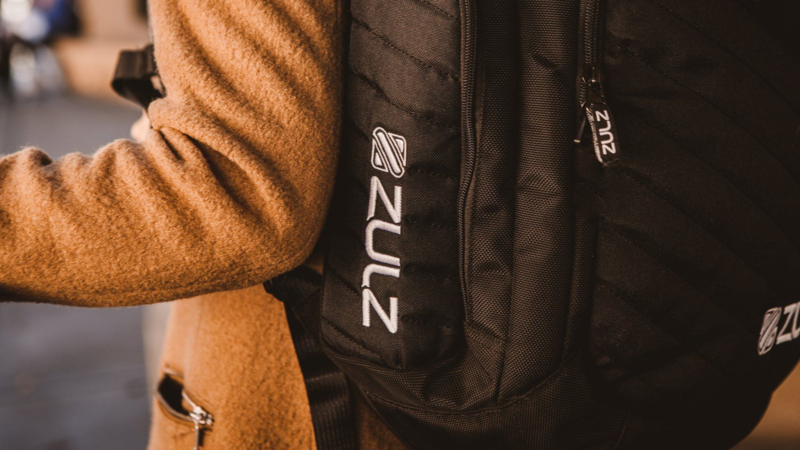 Fleece lined, this triumph of technical design is suspended from the top and padded so that, even if the customer drops the backpack, the laptop inside remains protected and unscathed. The suspended laptop sleeve also serves to keep the weight off the wearer’s lower back, making it much more comfortable than competitors. The padded, mesh lined shoulder straps are pre-curved for fit with materials and hardware that make the Pivot incredibly tough and durable. The bag also boasts a removable, felt-lined hard box pocket for sunglasses or cellphone. 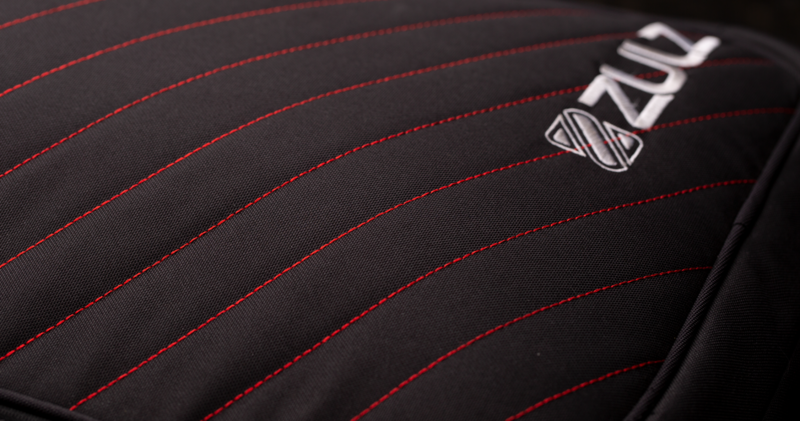 And with its clean, contemporary design lines, sleek silhouette and the option of understated black, or contrast silver and red stitching, the Pivot not only represents the utmost in efficient features, but it looks fantastic too. This was an end-to-end project. A highly collaborative venture, our designers worked with Chad to clarify and perfect his ideas for the backpack, constantly communicating so we could react quickly to make amendments and adjustments in line with his vision. Once the concepts were finalized, we produced comprehensive tech packs and led development working with the production facilities until the product was ready for production.